Live Scan Fingerprinting, Shipping & Packing, Notary, Passport Photos, Copy & Fax and much more. 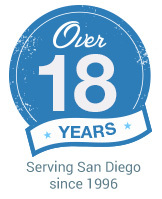 College Postal Plus is your local San Diego full-service shipping center and personal office that gets things done for you, your way. From live scan fingerprinting, notarizing, shipping, packing, copying, faxing, mailbox rentals and more, our professional and highly knowledgeable staff is at your service. Let us help you get through your day-to-day projects whether it’s for a growing business or college project.